A fleet-footed flycatcher with a rifle arm, World War I-era outfielder Walter Mattick had his major-league career abbreviated by a common failing: the inability to hit top-quality pitching. Weakness with the bat limited his big-league time to parts of three seasons. Still, Mattick parlayed other assets into a long association with professional baseball, mostly as a minor-league player, manager, and team owner. He was also a longtime major- and minor-league scout. By the time Mattick departed the baseball scene, he had devoted the better part of four decades to the game. Walter Joseph Mattick was born in St. Louis on March 12, 1887, the fourth of eight children born to Jacob Mattick (1851-1941) and his wife, the former Ellen Kelly (1861-1940).1 The elder Mattick, a lithographer born in Germany, found work in the Mound City shortly after his marriage to Ellen in 1880 and tolerated, if he did not encourage, the sporting inclinations of his sons, three of whom (Walter, Steve, and Ted) would become professional baseball players. As a youngster, Walter attended Harrison Elementary School through the eighth grade. He then left school and worked odd jobs. But for the most part his avocation was playing ball. Like other aspiring locals, Mattick got his start with clubs in the St. Louis Trolley League, a top-notch semipro circuit. He first suited up at the age of 14, and saw playing time primarily as an outfielder. Eventually, the right-handed batter and thrower would grow into the 5-foot-10/180-pounder listed in baseball reference books. Mattick made his professional debut in 1906, batting .282 in 55 games for the Oskaloosa Quakers of the Class D Iowa State League.2 He returned to the Quakers for the following season, but seemed to take a step backward, as his batting average fell to .249. On the plus side in Oskaloosa, Mattick made the acquaintance of Letitia McKenna, a local resident who would become his bride two years later. Elevated to the Pueblo (Colorado) Indians of the Class A Western League, Mattick blossomed in 1908, batting .318. He also attracted notice for his defensive skills, particularly a powerful and accurate throwing arm. Newspaper coverage of the now 21-year-old prospect usually referred to him as Chink Mattick, rather than Walter.3 In time, this moniker would largely be supplanted by Chick.4 By whatever name, the rights to Mattick were acquired by the Chicago White Sox for 1909, but he saw no action in a Chisox uniform that season. Instead, he spent the campaign in Des Moines with other White Sox hopefuls. There, he batted a solid .274, with 33 extra-base hits, and played stellar center-field defense for the Boosters, the Western League pennant winner. Mattick’s contract was thereupon reacquired by Chicago, but he again proved unable to make the White Sox roster. Returning to Des Moines, Mattick saw his fortunes recede with those of his team. His batting average slumped to .255, with reduced power numbers, while the Boosters slid all the way to seventh place in Western League standings. Mattick rebounded to .282, with 45 extra-base hits in 1911, and thereafter received his third pass to White Sox spring camp. Now 25 years old, Mattick earned the right-field job during the 1912 exhibition season and was one of three rookies in the White Sox’ Opening Day lineup. He made his major-league debut on April 12, 1912, going 0-for-3 against St. Louis Browns right-hander Joe Lake in a 6-2 White Sox victory. Interviewed after the game, Mattick declared that he had “never felt so proud of being on the winning side as I did this time … but found that batting up here is a different matter from batting in games against minor leaguers. … I would like to have made a couple of hits in that first game, but I didn’t, so I’ll have to make up for it in the games that are coming.”5 Mattick broke into the hit column the following day with a double off Browns veteran Jack Powell, but was soon displaced in the White Sox lineup by veteran Marty McIntyre. In addition to a dormant bat, Mattick was assigned demerits for a lack of “pepper,” and his demotion to the minors was widely predicted.6 But saved by his defensive prowess, Mattick remained on the Sox roster and in time his hitting came around. On July 6 he hit his first (and only) major-league homer, a three-run shot that bounced into the stands at Comiskey Park. By season’s end Mattick had appeared in 90 games, batting a respectable .260, with 17 extra-base hits and 35 RBIs. He saved his most memorable blow, however, for the annual postseason clash with the Cubs. With the White Sox facing elimination in the sixth game of the Chicago intracity series, Mattick belted a bases-loaded ninth-inning triple to boost the White Sox to a come-from-behind 8-5 win, cementing his place in the club’s future plans in the process. The 1913 campaign began much the way the previous year had. Mattick played well during the exhibition season and won a starting outfield spot. But once the regular season began, he stopped hitting. Mattick’s fate with the Sox was then sealed by a fateful at-bat in a June 7 game against the Boston Red Sox. Coming to bat with two men on base and his team behind, Mattick ducked away from a slow curve thrown by Red Sox lefty Ray Collins, rather than let the pitch hit him. On the next pitch, Mattick flied out, killing a Chicago rally. “In the mind of [Chicago manager Jimmy] Callahan, an exponent of inside baseball in all its forms, Mattick had committed an unpardonable offense … [and] deserved some sort of punishment that would stamp the error indelibly in his mind and make him a better player.”7 Callahan’s sanction took the form of Mattick’s replacement in center field by Ping Bodie. After that, Mattick saw little action in Chicago. On August 20 he and sore-armed pitcher Frank Lange were traded to the Kansas City Blues of the Double-A American Association in exchange for shortstop prospect Jim Breton. At the time of his departure, Mattick was batting a paltry .188 in over 200 at-bats. He reported to Kansas City to complete the 1913 season, but would finish the year back in a Chicago uniform – if only as a stateside replacement player during the White Sox-Giants world tour of 1913-1914. With the arrival of the Federal League in 1914, a slew of new major-league positions became available. Yet despite his relative youth and White Sox credentials, Mattick remained in the minors. He spent the 1914 and 1915 seasons in Kansas City, where he posted mediocre offensive numbers. In January 1916 Mattick’s contract was sold to the Vernon Tigers of the Double-A Pacific Coast League. In 200 games over the long West Coast season, he batted .255, with 28 extra-base hits, an output comparable to his modest KC performance. The 1917 season was preceded by trouble between Mattick and Vernon management. During the offseason he had purchased an ownership share in the Dallas franchise in the Class B Texas League. He had also acquired the stadium concession-stand rights. To oversee his investment, Mattick sought his release in order to play for Dallas, but Vernon refused unless provided compensation. Positions then hardened, with Mattick suspended by Vernon manager George Stovall for failure to sign his 1917 season contract. After several weeks at loggerheads, Mattick reluctantly reported to Vernon, hitting .288 in 35 early-season games, but he remained disgruntled by his situation. Thereafter, difficulties were resolved by the trade of Mattick to Dallas for outfielder Wilbur Crouch. Notwithstanding the travail in Sioux City, Mattick soldiered on. For the next three seasons, he served as player-manager of the Ottumwa Cardinals of the Class D Mississippi State League, fashioning an overall managerial log of 192-178 (.502), while batting .284 in 234 games played. 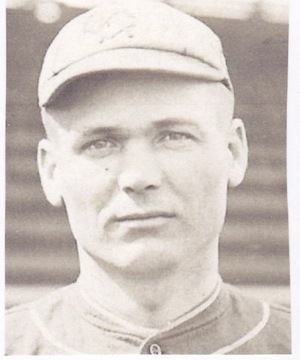 Mattick completed a 21-year professional baseball career in 1926 as player-manager of the Okmulgee Drillers of the Class C Western Association. Appearing in 49 games, he batted a career-high .381. Mattick then retired from active play and returned home to family in St. Louis. The following year, the birth of daughter Mary Louise made the Mattick family complete. For the next 20 years Mattick was a pro scout, working mostly for the American League Detroit Tigers and the American Association St. Paul Saints (where brother-in-law Lou McKenna held a front-office post). During the 1930s and beyond, Mattick took pride in the accomplishments of son Bobby, a slick-fielding shortstop who saw five seasons of major-league action.12 Walter Mattick retired from scouting in 1945 and spent the last 15 years of his working life employed by the engineering department of the City of St. Louis. A 58-year marriage ended with the death of Letitia McKenna Mattick in 1967. Soon thereafter, Walter moved to Los Altos Hills, California, to live with his son John. Suffering from lung cancer, he died at Sunny Terrace Convalescent Hospital on October 25, 1968, aged 81. His remains were returned to St. Louis where, following a funeral Mass at SS. John and James Roman Catholic Church, he was interred next to his wife at Calvary Cemetery. Survivors included his sons John and Robert, daughter Mary Louise McCumber, and four brothers. 1 Sources for the biographical information provided herein include the Walter Mattick file and questionnaire maintained at the Giamatti Research Center, National Baseball Hall of Fame and Museum, Cooperstown, New York, the genealogy site ancestry.com, and various of the newspaper articles cited below. The Mattick children were Charles (born 1882), William (1883), Frederick (called Steve, 1884), Walter (1887), Theodore (1888), John (1892), Clara (1896), and N. Arthur (1899). 2 For the most part, the statistics cited herein are drawn from baseball-reference.com. 3 See e.g., Denver Post, June 16, 1908, and Chicago Tribune, July 10, 1908. 4 The writer was unable to find any clue to the origins of the Mattick nicknames. Still, I would hazard the guess that the nickname Chink was not premised on Mattick’s looks. Photos of Mattick depict a handsome young man of Aryan appearance, with no stereotypical Chinese features. Nor could the writer find any connection between Mattick and the chink bug, a noxious insect prevalent in the Midwest. As Mattick’s career progressed, the alternate nickname Chick appeared more frequently, and was apparently the moniker that Mattick himself preferred (as reflected in the late-life Cooperstown questionnaire that he completed in 1968). Often, reportage combined Mattick’s first name and nickname, identifying him, for example, as Walter (Chink) Mattick or Walter “Chick” Mattick. Although Baseball-Reference and other present-day authorities list him as Wally Mattick, the writer found no use of the nickname Wally for Mattick during his lifetime. 5 Chicago Tribune, April 12, 1912. The first game impressions of fellow White Sox rookies Buck Weaver and Morrie Rath were also published. 6 See e.g., Sporting Life, April 29, 1912, and Omaha World Herald, June 24, 1912. 7 As per a widely distributed AP dispatch printed in the Duluth (Minnesota) News Tribune and Batavia (New York) Times, June 8, 1913, and elsewhere. 9 As reported in the Denver Post, April 6, 1919, Trenton Evening Times, May 4, 1919, and elsewhere. 10 Cleveland Plain Dealer, August 1, 1922. Western League attendance figures for 1922 are unavailable, but the following season, Sioux City drew a mere 35,982 for some 88 home games, easily the worst fan support in the Western League. See The Encyclopedia of Minor League Baseball, 2d ed., Lloyd Johnson and Miles Wolff, eds. (Durham, North Carolina: Baseball America, Inc., 1997), 231. 11 As per the Tulsa World, September 30, 1922, Omaha World-Herald, October 22, 1922, and San Diego Evening Tribune, January 30, 1923. 12 Like his father, Bobby Mattick had a lengthy career as a minor-league player. He also managed the Toronto Blue Jays in the 1980-1981 seasons. But Bobby is best remembered as one of major-league baseball’s most accomplished scouts.